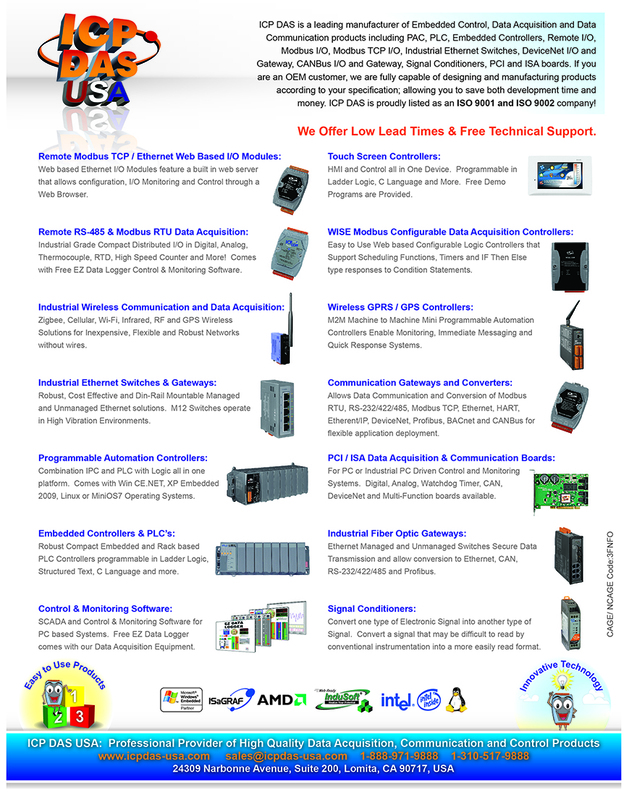 DasyLab / (www.dasylab.com): ICP DAS supports Dasylab drivers on most of their I/O solutions. LabView / (www.ni.com): ICP DAS supports LabVIEW drivers on most PC Boards and Modbus I/O solutions. Microsoft / (www.microsoft.com): ICP DAS is a Microsoft embedded partner, and has successfully developed a Windows based control solution in the WinPAC Programmable Automation Controllers. ICP DAS supports Microsoft Windows CE.NET solutions.